Appreciation quotes and sayings are inspirational reminders to prompt us to express gratitude to those who have made a significant impact in our lives. 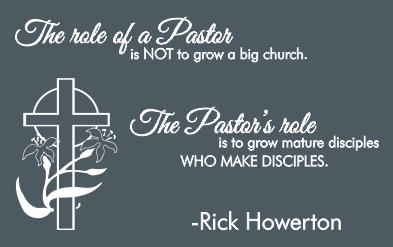 Pastor appreciation quotes are great for short notes when pastor poems are too long for your requirements. 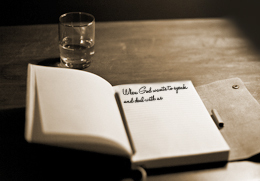 If you are designing a greeting card or a crystal appreciation plaque for your pastor, for example, you might want to add just a brief quote or short poem for an extra personal touch. 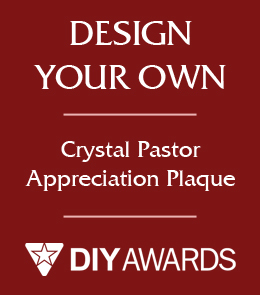 A personalized crystal appreciation plaque is the perfect gift for your pastor. 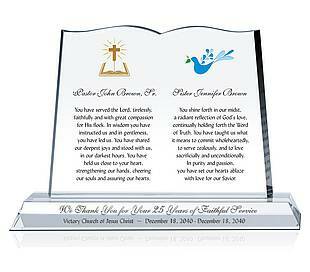 With a sincere appreciation quote, you can pay tribute to the difference a religious leader makes in your life. 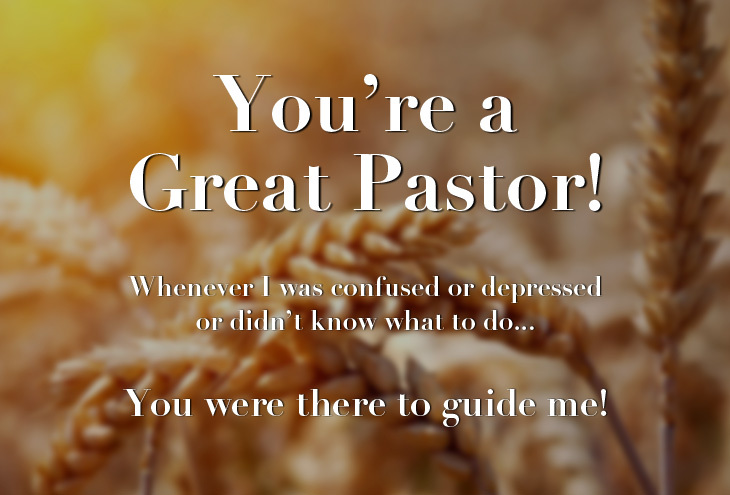 This is a great way to say thank you, and show gratitude to your pastor. Diy Awards can engrave your favorite appreciation quotes on crystal gifts, and will adjust the layout according to your design requirements. 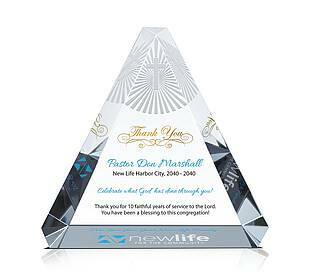 There are a number of crystal award styles you can choose from, such as the Crystal Star Awards Series for a pastor who shines with distinction. 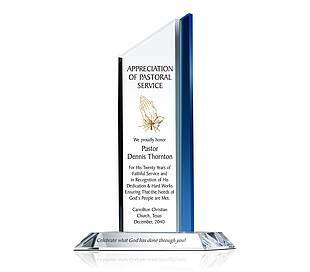 The Crystal Shining Star Award in particular is a great way to honor your pastor's outstanding performance. [Click here to read more]. After the pastor’s scathing sermon on the congregation’s myriad sins, one member said, "at least I haven’t made any graven images"
The life of our minister has become richer by the love that has been lost.